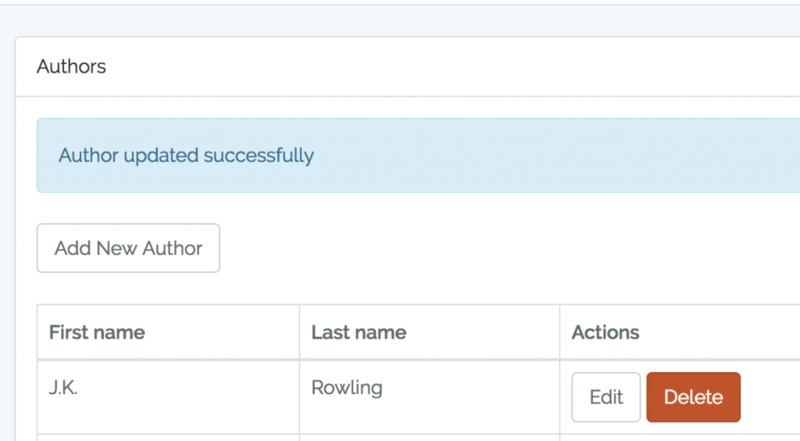 In this chapter we will create forms for new entry and updating it, also will take care of the actual functionality on the back-end. Creating a form is pretty easy, here’s the code. All done with creating the authors, right? Wrong. What about validation of the data? 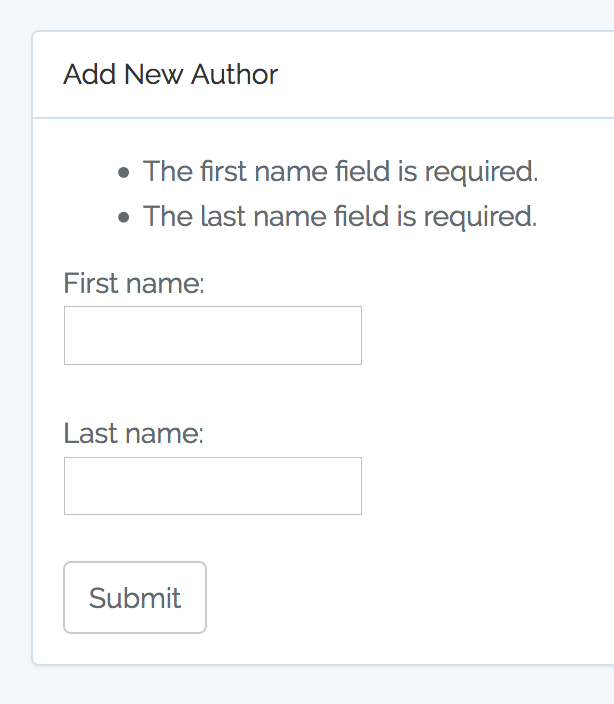 Let’s make first_name and last_name required fields. 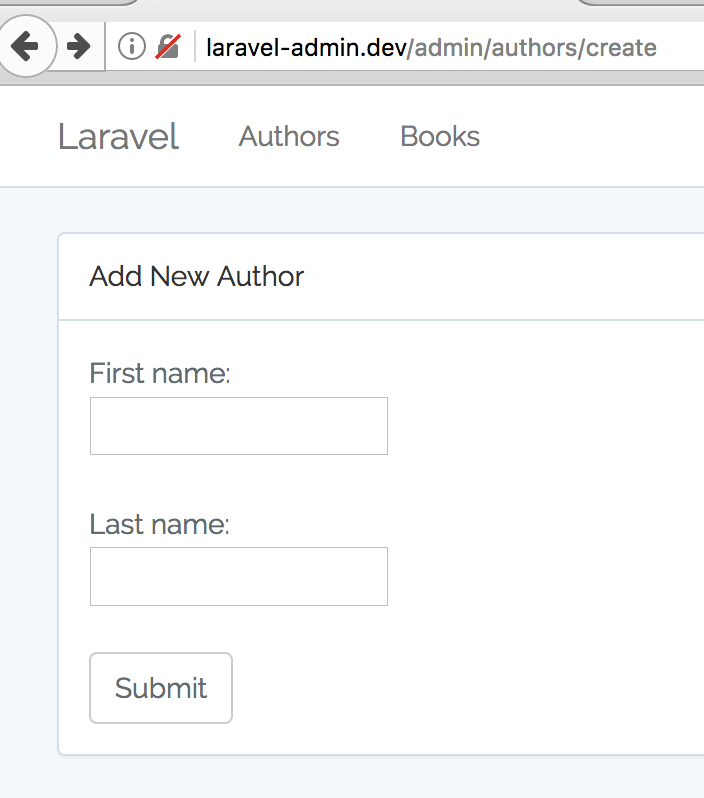 If you have more fields and various validation rules, there are plenty of options – please read about them here in the official Laravel documentation. Guess what – there will be a lot of copy-paste code here, or repeating almost the same steps. Note that if the entry isn’t found in the database, system would throw 404 error page. That’s it about create/update forms and their processing. Next topic – how to delete the entry! Stay tuned. Hi, Is there any way I can see demo of the same?